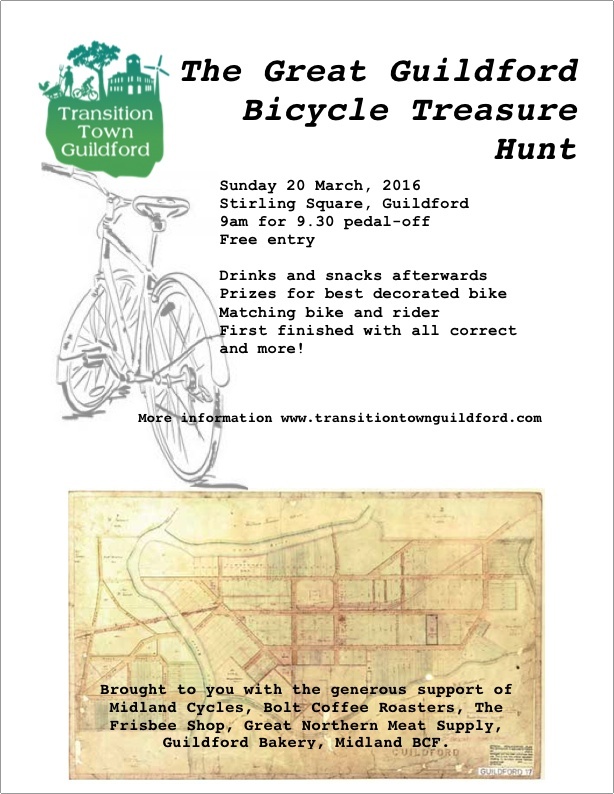 Dress up your bike, bring the kids and come for a morning of two-wheeled exploring fun around Guildford! Lots of prizes and drinks and snacks afterward. Please remember to bring a pen, your drink bottle or a cup (this is a waste free event). 9am assemble at Stirling Square, 9.30am the pedal off begins! Generously supported by Midland Cycles, Bolt Coffee, Guildford Bakery and The Frisbee Shop, Great Northern Meat Supply and Midland BCF. Note: Children under 16 must be accompanied by a responsible adult to sign a waiver on the day. This entry was posted in Event, Transport and tagged BikeWeekWA, Bolt Coffee, Guildford Bakery, Midland Cycles, Social bike ride, Stirling square Guildford, The Frisbee Shop. Bookmark the permalink.